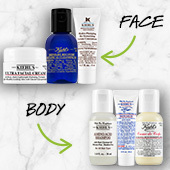 To make your ordering experience as effortless as possible, we’ve provided detailed information about placing an order on Kiehls.no. 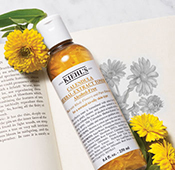 All orders shipped from Kiehls.no will be subject to sales tax, applicable in accordance with the tax code of the state and city to which the order will be shipped. Tax is estimated at the time an order is placed and a final calculation of the actual sales tax will be reflected on your order confirmation e-mail and packing slip. Products ordered online are not for resale. We regret that we must limit orders to no more than three (3) units of any item (per size, per day) with a maximum purchase of 5000 NOK per customer. If you have any questions, please Contact Us and we will be happy to assist. 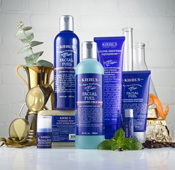 Kiehl's accepts MasterCard and Visa as forms of payment from Norway. Credit card information entered in the site is secure and safe. All orders placed on this website are encrypted, thereby protecting any credit card information that is submitted at the time of the order. 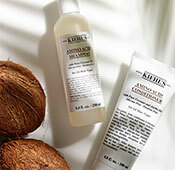 In the event your credit card is declined, Kiehl's will inform you of this event and request a new credit card number. Please provide Kiehl's with your new credit card number within 5 days so we can fulfill your order without you having to resubmit your order. In the case of a preparation delay longer than 4 days, the amount due will be automatically captured for credits cards payments. If the product is unavailable or the order canceled for any other reason. In case of a cancellation of your order, our Customer Care will refund in the original payment method within an average of 2 days and less than 14 days according to the European law applicable. The customer will be notified at the email address used when placing the order. 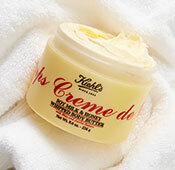 We regret that we do not ship outside Norway at this time for orders placed at kiehls.no. 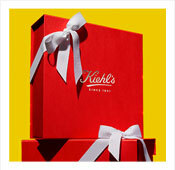 Please use our Retail Locator to find the Kiehl's location nearest you. Upon check-out, an email will be sent to you with a copy of your order. Once your order has shipped, you will receive an additional email to confirm shipment of your order. The shipping tracking information will be included in that email so that you may check status of the order at your convenience. Should you have any questions about your order status, please Contact Us. Currently, Kiehls.no does not support sending to multiple addresses in one order. Please place the items in the basket that you wish to be sent to one location and send order. You may then proceed to send to another address by beginning the order process again. 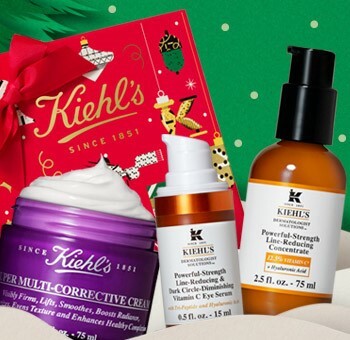 If you have a promotional coupon code that can be redeemed from Kiehl's Since 1851, please enter the offer code in the box in the shopping bag area upon checkout. The promotion will be reflected in the subsequent pages. If you would like to receive our timely promotions, please join the Customer Registry. You may view your order history by signing into Your Account and selecting Order History from the left hand selection bar.